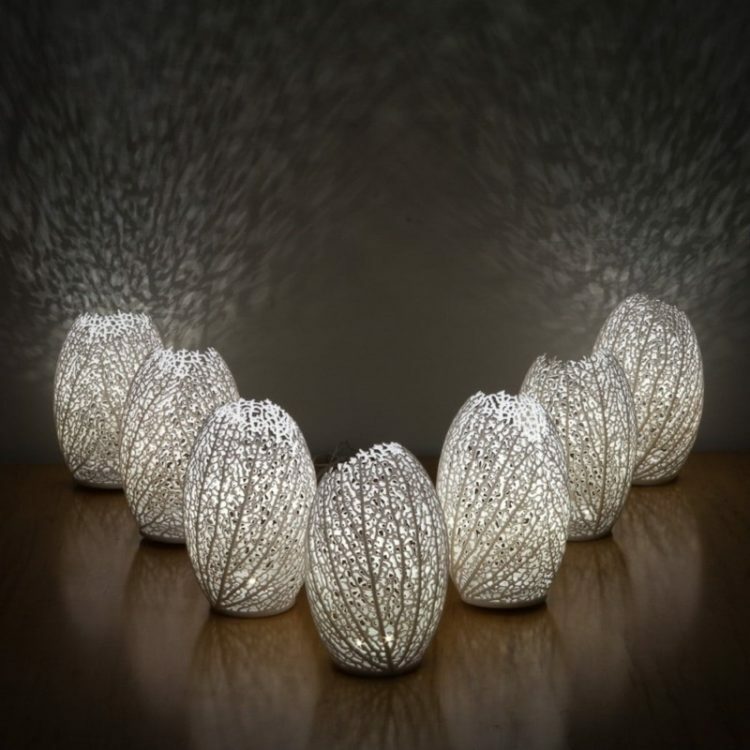 Hyphae is a collection of 3D printed floor lamps constructed of rhizome-like networks. 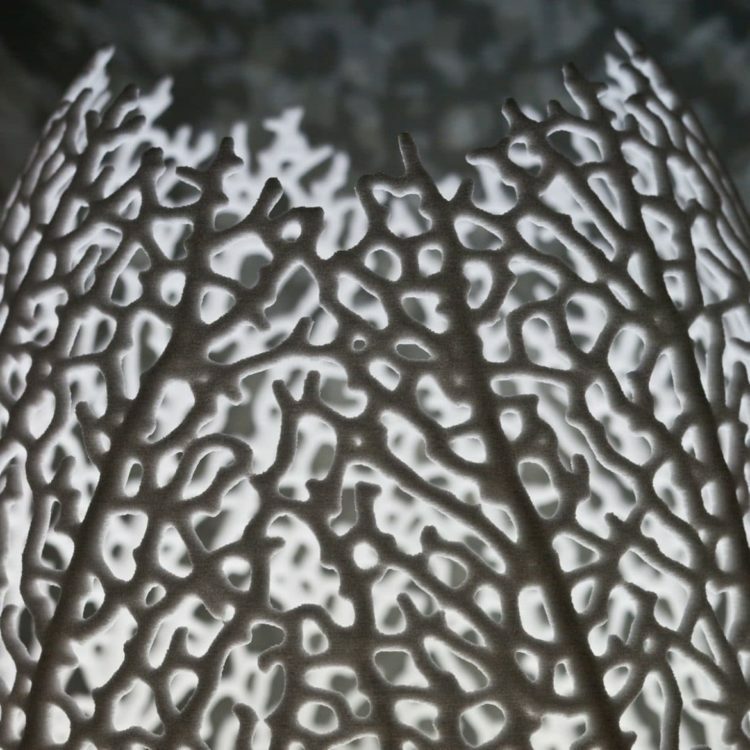 Inspired by the vein structures that carry fluids through organisms from the leaves of plants to our own circulatory systems, they use physical growth principles to build sculptural, organic structures. Starting from an initial seed and a surface, we grow a hierarchical network where nodes constantly branch and merge. The densely interconnected structure is at once airy and strong.